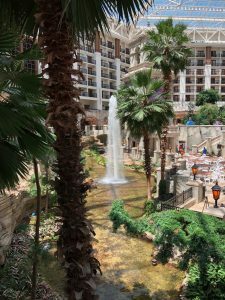 I’ve just returned from the 2018 FileMaker Developer Conference. 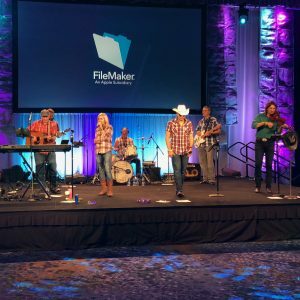 It was my first year attending as a member of the FileMaker Business Alliance, so the experience was a little different than usual. 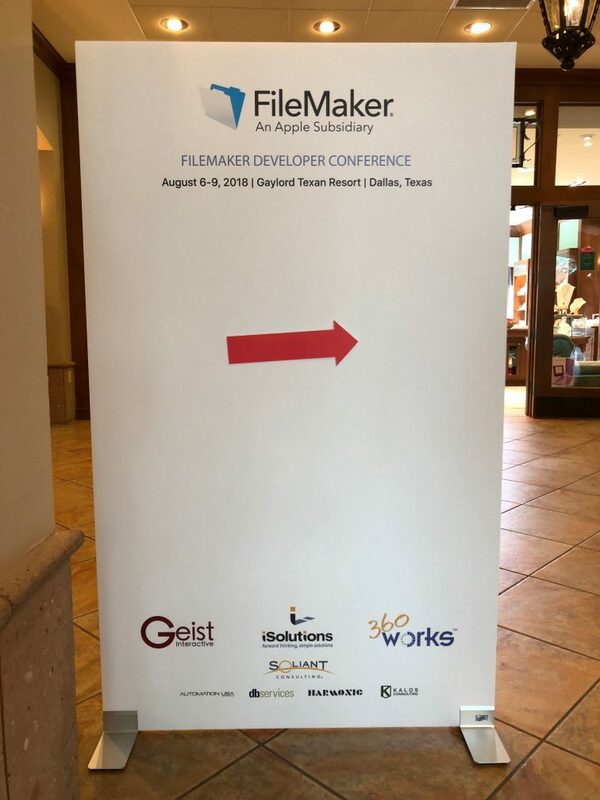 FileMaker, Inc., reorganized the conference this year. 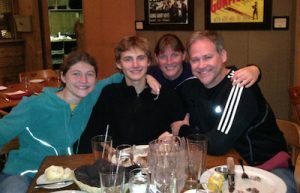 Last year, they had two full conference days, plus an FBA day for FBA members only. 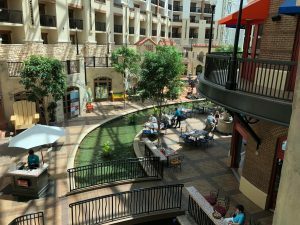 This year, they opened it back up to 3 days, blending FBA sessions and customer success sessions on the third day. I think it’s a better format. 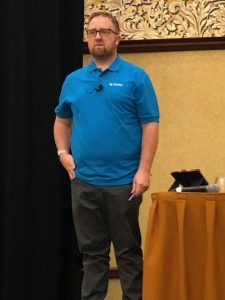 I really enjoyed the customer success sessions last year, but didn’t attend any this year because I wanted to see what the FBA sessions would be like. The venue was crazy. I’ve never seen an indoor atrium about 10 stories tall. Air-conditioned and everything. Absolutely beautiful! 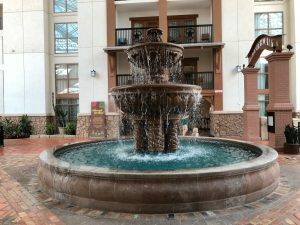 All these photos were taken inside the hotel! The primary focus of this year’s technical sessions was on integration. With the addition of native Command Line URL (cURL) support and native JSON parsing in FileMaker 16, and now with the newly revised Data API for FileMaker and Admin API for the Admin Console, the whole world of web services has opened up to us. Another hot topic was the so-called “Internet of Things”, abbreviated as “IoT”. The next problem was figuring out what to do with it. Fortunately, there are a lot of very smart people in the FileMaker community. One fellow I met was from Volvo. He’s figured out how to integrate hundreds (I don’t know, maybe thousands) of remote sensors along the production line and dump their data into FileMaker. This allows them to do predictive, real-time analysis of the health of all the machines. It’s possible because these devices are part of IoT – they can transmit data over the internet to a URL (termed an “endpoint”). The Data API allows external devices or systems to enter data (among other things) directly into a FileMaker database hosted on FileMaker Server. Neat stuff! 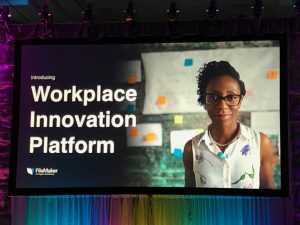 FileMaker launched a new marketing or market segment definition (they called it a “category”) called the Workplace Innovation Platform. There’s been a push in recent years towards something called “low code / no code” – meaning folks with little or no programming experience can build useful tools for their workgroups. I have to smile a bit at the hype; FileMaker has been doing exactly that for many, many years. So I called my wife. “Honey … can we afford to drop another $400 on this conference?” She said, “If you think it’s worth it, sure.” And I was glad I did, because not only was Jeremy’s session excellent, I attended Bob Bowers’ session on integration, which was very helpful. It seems the Training Day is a good investment! 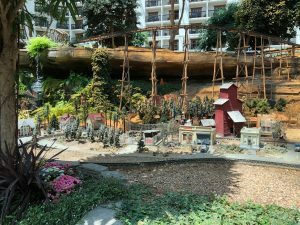 I’m not going to go into all the details in this blog post; I’ve attached my detailed trip report if you want to review. But DevCon is always a worthwhile experience. 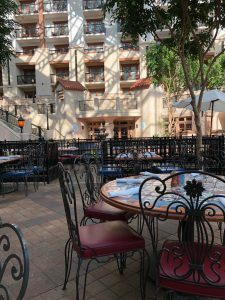 Meeting up with old friends and colleagues, making new friends, and learning more in three days than I normally do in a month – it’s just one of the best experiences you can have as a FileMaker developer. 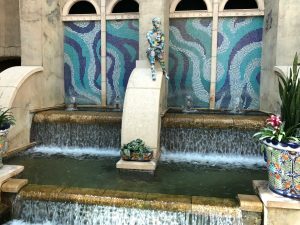 Again, my trip report is attached. Until next year!